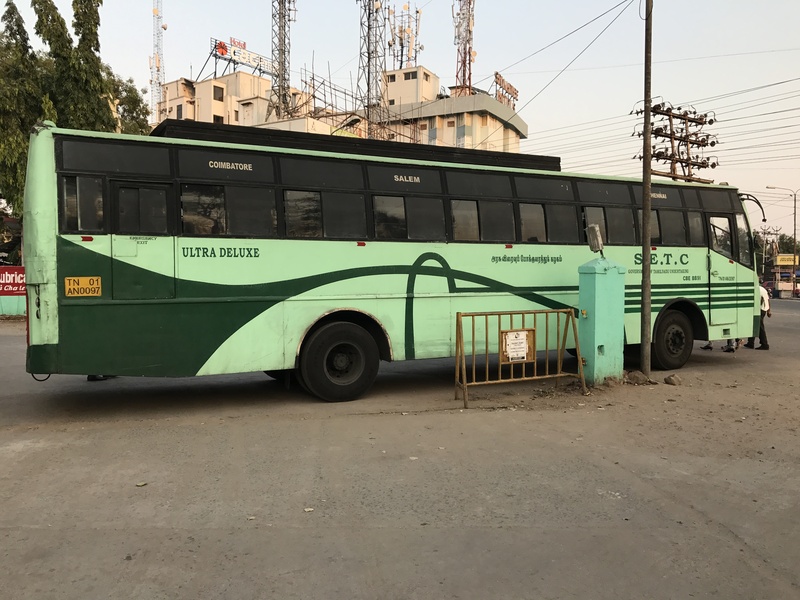 SETC operates buses between Coimbatore to Chennai under the brand name Siruvani, the bus takes 9 hours to reach destination and destination time differs depending upon the tarific etc… Siruvani on time everytime operates two buses towards to Chennai at 6:30 pm and 9:30 pm. The tickets for the book can be booked via Online and by visiting the nearest SETC online booking centre. The bus departing at 6:30 pm have a dinner break around 8pm after avinashi new bus stand boarding. The buses have boarding point at Hope College and Avinashi New Bus Stand apart from Gandhipuram SETC bus stand. 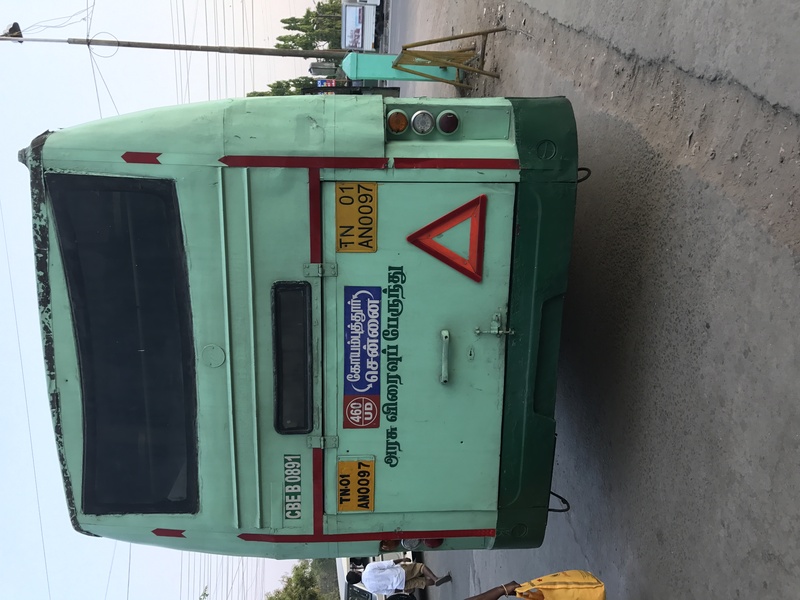 The below are the images of SETC siruvani getting ready to Chennai from Gandhipuram SETC bus stand. The bus is equipped with 2*2 pushback seats and air suspension. 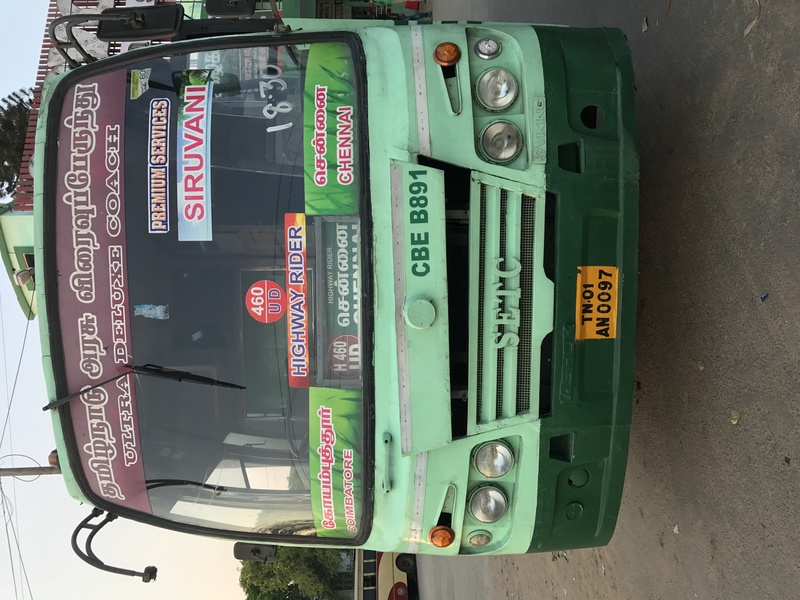 Boarding Point for Chennai Siruvani NON AC Bus Service From Coimbatore to Chennai.